Good review. I might give this a try. Good review - I'll admit to not being surprised by most of the reveals, but I still enjoyed them. 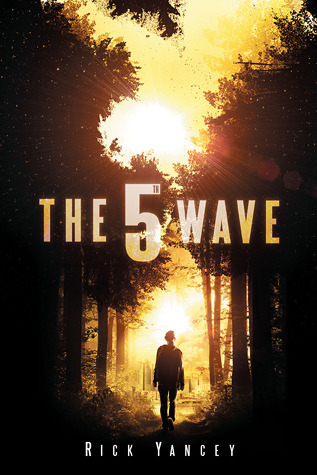 Y'know, I never thought about how everyone knew there would be a fifth wave? I just went with it. But you bring up some good points. I just bought this yesterday. I've heard a lot of good things, so I'm certainly curious. A friend of my sister's said it's one you either love or hate. LOL Sounds like you're inbetween, but I'm glad you enjoyed it overall. I've seen all the "OMG THIS BOOK IS AMAZING" reviews, but now it appears that more and more people are posting some that are just "eh". I guess I'll have to read it myself and figure out which category I fall in! Anyway, one thing that seemed strange to me was how certain phrases repeated. Cassie's "mentor character" teaching her how to shoot uses almost the same phrase as the person training Zombie. Sloppy edition? Hidden message? Clue of what's to come? I've seen a few others reviews around for this one, and I will admit to be tempted by it, eventhough I normally don't like YA. After reading your review, I think I'll stick to my guns and pass on it. On a side note, the title keeps getting my attention because of the TV show First Wave. Loved the show and it was about alien invasions as well.